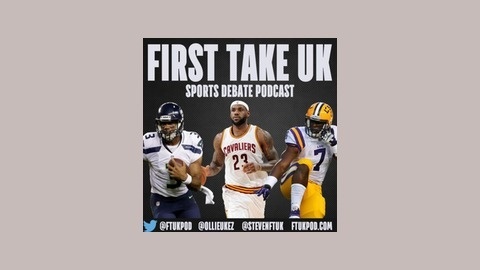 The UK's leading US Sports podcast for fans of the NFL, NBA, MLB, NCAA & NHL all over the world. Ollie Connolly - UKEndZone.com, MLB.com, @OllieUKEZ - and Steven Edwards - NBA/NHL guru, Into the Boards podcast - debate all the biggest topics and issues in the world of US Sports and culture four times a week. 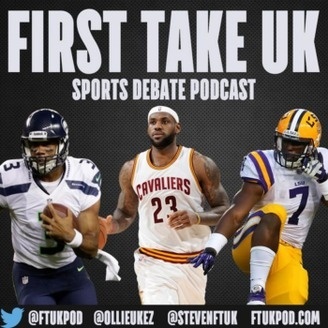 Links: Twitter: http://twitter.com/ukfirsttake Website: http://ftukpod.com. Ollie and Steven kickoff the 2015 preview series with the fascinating NFC North. 293: What You Doin' DeAndre?